Anthony Bauer, currently a Senior Tunnel Engineer with Hyperloop One based in Los Angeles where his international tunneling experience is helping to deliver the world’s next mode of transportation. 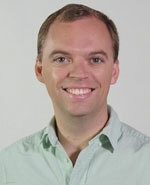 Tony is also the founding chairman of the UCA Young Members. 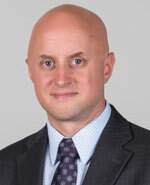 Wes Morrison, is the North American Regional Manager for the MAPEI Underground Technology Team (UTT). He is responsible for MAPEI’s involvement in all tunneling and mining activities in the U.S. and Canada. He has been involved in the underground construction industry for over nine years, with experience including shotcrete, TBM, injection grouting and waterproofing. 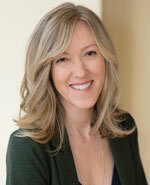 Sarah Wilson, is a Principal and Vice President for Construction Management at McMillen Jacobs Associates. She is a licensed Professional Engineer in the state of California and a CMAA Certified Construction Manager. She holds an M.S. in geotechnical engineering from the University of California, Berkeley and a B.S. in civil engineering from Drexel University. She is both a designer and a construction manager, most recently serving as Resident Engineer on two separate $200M-$300M contracts for San Francisco’s Central Subway program. What is your outlook on the North American tunneling industry entering 2018? Bullish? Bearish? Why? Morrison – I am fairly bullish on the tunneling market in North America for the foreseeable future. The infrastructure in the U.S. continues to age and will need to be repaired and/or replaced. The major population centers along the coasts continue to grow; and, because of this, the mass transit systems, as well as other ancillary infrastructure, in these areas will need to be improved and increased to support this growth. Due to the lack of available space above ground a lot of this growth will need to take place underground. Wilson – Bullish. The U.S. economy is robust, and the general viewpoint is that spending on infrastructure is good for the economy. However, most publicly funded projects are driven by politics, and politics in the U.S., at the Federal and many state levels, is unfocused right now. There could potentially be a large number of major projects coming out in the next few years – including the new Hudson River tunnels, California High Speed Rail, Water Fix, and others. How well is the industry equipped to handle this work? What can we do to help ensure we have qualified personnel? Bauer – Support of groups like the UCA Young Members is key in recruiting talented professionals to the industry and encouraging continual professional development of those already within the industry. Morrison – I think that the tunneling industry is positioned nicely to manage and execute on these major projects. However, like the rest of the construction industry, we tend to be slow to innovate or to embrace the new innovations that are being used elsewhere in the world. By continuing to innovate, these major projects will become more manageable and affordable, which will lead owners to more often undertake projects of this type in the future. Attracting talent can be challenging and is certainly critical to ensuring the health of the industry. 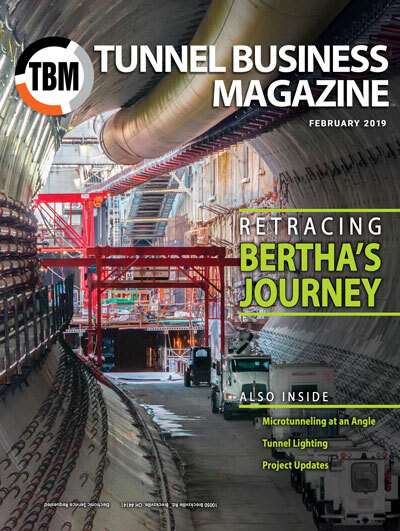 Focusing on marketing the tunneling industry to students who are considering their careers is important as the competition from other cutting-edge industries is strong. With that being said, I believe that the challenging nature of underground construction projects and the excitement of being involved in some of the largest infrastructure projects in the world gives tunneling a leg up on the rest of the construction industry when it comes to promoting the industry to potential personnel. Wilson – We need to become more efficient, in all parts of our business. Owners: Because projects are larger in size, the velocity of the cash flow is much greater, and there is more need for better management skills, not only understanding how the owner agency works, but also a higher understanding of human behavior, leadership, and organizational skills at the project level. These organizational skills for a project are different from process skills, which are those required for an ongoing organization. Contractors: Project efficiency is improved when the contractor staff understands the owner’s motivation, and the “why” for many of the contract requirements. Partnering can help, but only if the partners bring the right people to the table who can make commitments and abide by them. A good facilitator can ask the right questions and call “B.S.” if need be. Designers and Construction Managers: The design-build delivery method is still new to many underground contractors, engineers, and construction managers. A better process of disseminating lessons learned, both during and post-project, could improve the efficiency of the entire industry. This should include the designer and contractor (or design builder) as well as the construction manager. It’s easy to blame another party for issues that come up, but talking them through and documenting lessons learned can make the next design more constructible and the next contract more equitable. Academia has a role in improving the efficiency of our industry. The engineering schools should incorporate new design techniques and materials into the curriculum, and keep the courses that require skills considered to be non-engineering skills, such as writing and behavioral analysis. Co-op and internship programs are great teaching tools because they give students a jump start on project understanding, which is needed to develop management skills on the job. Funding is the key component in moving any project forward. What trends are you seeing in terms of funding? What are the prospects for increased federal funding? How is P3 with private financing impacting the market? Bauer – Current trends suggest that public infrastructure projects will be funded less and less by federal dollars; while state, local, and private entities will be more responsible for finding the necessary funding. It is encouraging to see cities like Seattle and Los Angeles leading the charge in paying for the majority of transportation project costs with local tax dollars. 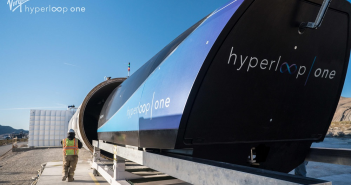 I see increased opportunity for Public-Private Partnership agreements to deliver transportation projects in the future by leveraging private money to make up the gap left by federal contributions – particularly for new transportation technologies like Hyperloop. Morrison – I think we are going to have to wait and see what the current administration and Congress do with funding upcoming projects. So many of these large projects depend on federal funding to some extent that projects could live or die based on the decisions that are made at the federal level. Common sense would say that, with the aged, poor condition of the U.S. infrastructure, funding is a must, unfortunately common sense doesn’t always prevail. We are seeing more P3 projects coming out, which is a way to overcome a lack of public financing. I think we will continue to see more P3 projects, where applicable, which will certainly be a good thing for the tunneling industry. Wilson – Funding is especially unpredictable in the current political environment. The larger P3 jobs are driven by a time/cost trade-off that encourages less efficiency, and thus higher costs. Infrastructure funding currently has a primary focus on initial construction. Because underground projects usually have lower maintenance costs, the underground industry would benefit from a holistic view of construction and maintenance, which, in a typical comparison of above- versus below-ground projects would make the underground projects more competitive. Contracting has also been at the forefront of tunneling, including concepts like design-build, risk management, dispute resolution, etc. How are you seeing contracting practices changing? Are the trends positive or negative? What changes would you like to see? Bauer – Risk allocation is key to any successful tunnel project. Risks should be appropriately allocated to the party with the best ability to manage that risk. 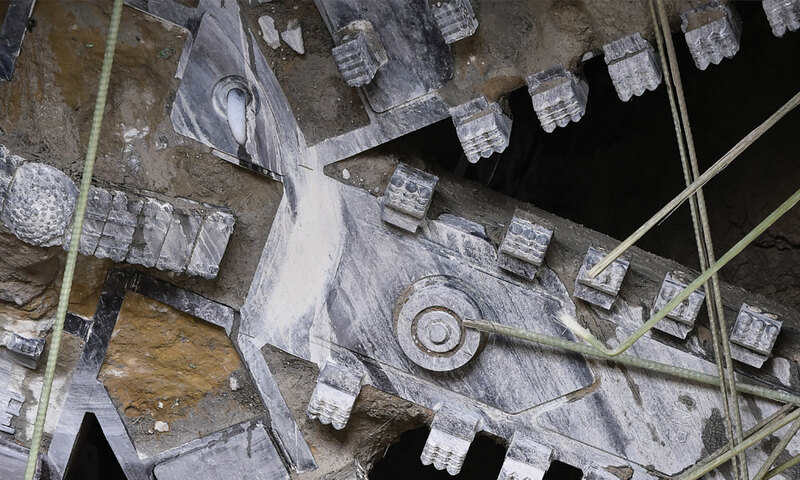 An unfortunate trend in tunneling is the shifting of risks, particularly by inexperienced owners, to the tunneling contractor, who may be ill-equipped to manage those risks. The engineering community needs to do better at convincing all project stakeholders to accept risk which is appropriate for them to manage in order to lead to more successful projects and lower overall project costs. Morrison – I am not involved in this part of the business so my knowledge comes strictly from what I have read and what I have learned from talking to others. With that being said, the general feeling that I get is that contracting is changing for the better. There seems to be a greater willingness and desire between the stakeholders to work together to make sure the project is built correctly, and this carries through to the contracting practices as well. Wilson – DRBs have been around since the 1970s and have increased in use exponentially since the mid-1990s. This is a big improvement from the previous litigation-centric practices. However, as users of DRBs have gotten more experience with the system, they have started to game the system to their own benefit. Examples are owner agencies that fine-tune the DRB spec for their own benefit by adding “can’t review” provisions (excluding the DRB from reviewing portions of the contract or specific disputes), and contractors who are more interested in setting up their case for subsequent dispute adjudication. The primary benefits of the DRB as a contract tool will not be realized until the behavior of both parties demonstrates that they are more interested in resolving disputes than kicking the can down the road. Improved technologies and techniques are key to driving the industry. What innovations are you seeing that are changing the way tunnels are built? Where areas are for ripe for improvement? Bauer – A recent study published by McKinsey & Company shows that while productivity in other industries has risen by 30% since 1995, the construction industry has seen only 7% growth in the same time period. A key factor in that stagnant pace has been the speed at which the construction industry has adopted new technologies which have been transformational in other sectors. I see massive opportunity in the construction industry to embrace technologies like advanced manufacturing, automation, 3D+ engineering & design, modular design, etc. by borrowing knowledge from other industries. 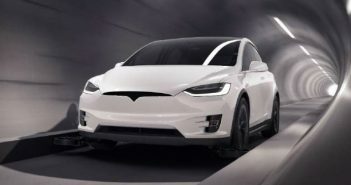 Morrison – I think that the area where we are seeing the most innovation, and certainly the quickest innovation relatively to the rest of the industry, is in TBMs. The TBM technology is constantly evolving, allowing us to build larger tunnels in a greater variety of ground conditions. Collecting and using the large amounts of available data is an area that is being widely used in other industries to improve efficiency, lower costs, and reduce errors. With the equipment that is already in use, i.e. TBMs, shotcrete robotics, grout pumps, etc., it wouldn’t be a big stretch to utilize sensors to automate the collection of numerous data points from each operation. This information could be utilized to improve the process, sometimes in real time. Wilson – It’s been true in the past, and it’s still true: the bulk of the innovations in the underground industry is driven by the manufacturers and material suppliers; e.g., TBM technology, cutters, gaskets, conditioning agents, cements, and fiber reinforcing. The one thing that could advance the efficiency of the industry is more acceptance of things that are different or “not what we’ve done before.” This is difficult for owners to do, not wanting to be the first on the block to do something new, but is necessary and could be done by developing test programs where failure of the test would not result in failure of the project. Tunnels projects can be expensive and require a long construction period, but provide a long life span and good return on investment for the public. What can we do to help the image of tunneling in the public eye? Is there a way to reduce the cost and time needed to build tunnels? Bauer – We as an industry need to be better at getting the public excited about tunneling projects! Too often the only news stories that the public see are related to cost overruns, delays, and accidents. Better public outreach is needed to focus more on the societal benefits which will come along with the project when it’s finally completed to keep the public’s eye on the prize! Morrison – I think a proactive marketing effort is imperative to promoting the image of tunneling to the general public. Due to the inherent nature of tunneling being underground, the industry is often out of sight and out of mind for most people. People sometimes only learn about a tunneling project when something goes awry. Educating people about using tunneling to improve infrastructure and increase efficiency, while preserving the often limited above ground space for other uses, will help in this effort. To drive down costs, innovation will need to continue and will probably need to move at a faster pace. Lessons can be learned by looking outside the industry to see how new technology is being used to improve efficiencies and reduce costs. Wilson – We need public stories on underground successes. Too often we talk to ourselves. The journalism community can help by identifying messages from project successes that would make good reading for the general public, and then facilitating getting those messages out there. Construction phase staffing is an important tool that can be used to reduce the cost and time needed to build tunnels. A conversation between a knowledgeable designer’s representative, contractor’s engineer and/or field supervision, and construction manager can solve a challenge that might otherwise become protracted and costly. It’s not a new story, but it’s a very simple way to reduce project cost and time, for both design-bid-build and design-build projects. Bauer – The North American tunneling market is healthy and well positioned to grow steadily as our cities age and the need for minimally intrusive infrastructure projects increases. Morrison – The outlook for tunneling is generally good. There will continue to be a need for more tunnels in the foreseeable future. However, the industry will need to continue to innovate and market itself to the general public to attract talented people and to keep pace with other industries. Wilson – One really good thing: there’s a lot more focus on safety now than ever before. Incident rates in the underground industry are quite low, and this is a direct result of changing attitudes on the part of contracting executives, supervision, and craft labor. Consolidation of engineering firms has no benefit to the end user, and arguably a reverse benefit to both employees and the DBE community. This is because individual projects are made successful by individuals, and individuals are motivated by things other than working for the largest firm in the country. The logic of “one-stop shopping” while arguably making it easier to manage a project with a minimum of subconsultants, does a disservice for DBEs by (1) making entry harder, and (2) encouraging DBEs to become job-shoppers instead of service providers. The best thing we could do to improve efficiency of our industry is to encourage the sharing of lessons learned from past projects. Not only the jobs where everything went right, but also the jobs where they didn’t go so well, and what could have been done differently. The usefulness of this information should outweigh the reticence to share mistakes or less-than-perfect processes. A different attitude amongst all industry participants is necessary to capitalize on our collective experience.